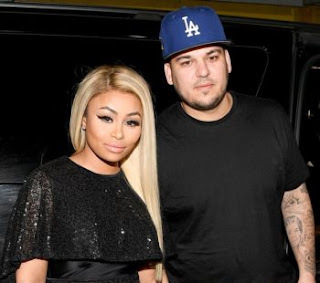 Rob Kardashian has confirmed his split with his fiance, Blac Chyna just one month after they had a baby, Dream. The drama began when Blac Chyna claimed her Instagram account had been hacked and several personal messages were leaked. Some of the messages showed her calling Rob ‘fat and lazy’ and even revealing she had planned to leave him all along. Rob Kardashian has confirmed his split with his fiance, Blac Chyna just one month after they had a baby, Dream. The drama began when Blac Chyna claimed her Instagram account had been hacked and several personal messages were leaked. Some of the messages showed her calling Rob ‘fat and lazy’ and even revealing she had planned to leave him all along. Rob took to Snapchat and in several emotional videos disclosed Blac Chyna had left with their baby and the entire contents of the nursery.